In Hollywood, they say it can take years to make an overnight success. For most actors, this could be daunting but for Wendy Wilkins it’s something she committed to and is on the verge of achieving. Fresh off landing a nomination at the Action On Film Festival for her role as Ona in “Bull Fighters,” she sat down to chat with us. Wendy Wilkins was a cop and not just one on TV. She had a successful career as a policewoman in Australia before making the move to Hollywood and becoming an equally successful realtor, all while pursuing her acting passions with some of the top coaches in Los Angeles (Ivana Chubbuck, Bobby Chance etc.) She’s appeared in network television series and has even shared the screen with Academy Award nominees, Kristin Scott Thomas and Ralph Fiennes. Most recently she won the ‘Award of Recognition for Lead Actress’ at the Best Shorts Film Festival and was nominated for ‘Best Supporting Actress’ for her role as Ona in Bull Fighters at the Action On Film Festival amongst seasoned competition including actress Rose McGowan. Like many LA actors, Wendy has had to balance the passion for her dream with the struggle the industry presents, finding success and victories along the way alongside self-doubt and societal pressures. We sat down to talk with Wendy about what it’s really like to pursue a career in Hollywood and her recent moments of triumph! We love her message about self-acceptance in the pursuit of one of the most competitive careers around and we are pretty convinced she’s made the right decision. PPLA: When did you first know you wanted to pursue a career in acting? WW: I wanted to be an actress since I was a little girl. I would make my brother and sister. reluctantly perform in shows that I would put on, mostly my Grandfather being the only member of the audience. Being able to make him laugh and smile was such a joy to me; I adored him. I was the lead in the school play etc. but was brought up to believe that acting was not a career, though it kept pulling at me. PPLA: What has been the biggest challenge in pursuing this career? WW: The biggest challenge so far would be staying positive in spite of perceived rejection. I am learning it is important to only take advice from people that are my true peers. There was an article in Casting Networks today by Bonnie Katz ‘The Conscious Actor’ about developing your own sense of integrity and self acceptance which really resonated with me. Having started acting later in life, I am competing against people that have been working longer than me and have many more credits than me, but I have moved countries twice to pursue working with the best (she studied at The Royal Academy of Dramatic Art in London) and am constantly challenging myself to be the best that I can be. I miss my family and friends and have missed out on a lot of seeing my nieces and nephews growing up. PPLA: Was there a moment when you almost gave up or a moment that said to you, ‘I am doing the right thing and must keep going’? WW: Yes, I was in my Master acting class with Ivana Chubbuck and she really pushed me and challenged me. I remember driving home and crying to myself thinking I was the worst actress in the world and I had no business being here. I remember thinking, I have had some success and accolades in my previous career, why don’t I give myself a break and just do that, but I couldn’t. Acting is inside me and so I had a long hard conversation with myself, and reminded myself this was a ‘master acting class’ and I had to work harder and not give up. Ivana has made me strive to go deeper and not give up and overall grow as an individual. 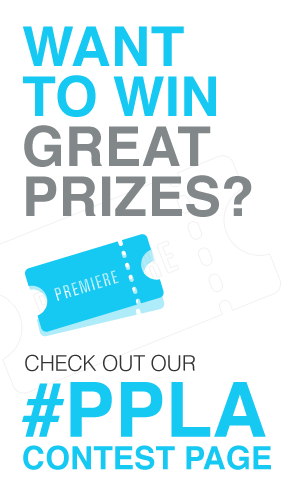 PPLA: Tell us about your role in Bull Fighters and how you got involved with the project? WW: I was doing some acting workshops with Katt Shea, the Writer-Director of Poison Ivy, with Drew Barrymore and she got to know my work. She recommended me for the role of Ona to the Director, Errol Sack, for Bullfighters. I read the script and it read like a one act play, and I liked that having studied and worked in theater in London. We did one take of about 15 pages of dialogue, which was pretty cool. PPLA: What was it like when you heard about your nomination for Best Supporting Actress for this film at Action On? WW: It was pretty exciting to hear I was nominated for Best Supporting Actress at the Action On Film Festival . This will be my second time at this festival , my first time a few years ago I won “Best Comedy Scene” for the short I wrote and produced and was the lead in called Big Bully Bank. It was a great experience and it’s a wonderful festival. Learn more about the BestShorts.net and Action On Film Festival.